The defining moment of the 2004 Federal election was the infamous hand-shake Mark Latham gave John Howard as they passed each other in an ABC radio-studio on October 8th – a day before the election. Just a few seconds of TV footage and the aggressive and bullying nature of Latham was exposed for all to see. Ironically, Australia Day 2012, may well be the moment when the proposed changes to the Australian Constitution, to grant special favours to people of Aboriginal descent, unravelled. A few seconds of TV footage of a brave Australian Prime Minister, and leader of the Opposition, under threat from a deranged mob of Aboriginal “activists”, saw to that. What we saw at The Lobby restaurant riot was the culmination of the work of left-wing academics who have been cultivating the idea of Aboriginal sovereignty over Australia, for years. These academics have been gnawing away at the legitimacy of non-Aboriginal Australians through decades of re-writing our history, establishing non-existent massacres, conjuring up non-existent genocides and trying to establish dubious issues of “human rights” and “injustices”. They have seized control of what is taught in schools, promoting a one-sided view of the settlement of Australia. They are now moving in on compulsory teaching of Aboriginal “history” in universities. The insidious nature of this campaign involves endless government bodies and committees, organisations and research units beavering away at the issues of Aboriginal Australia and it’s perceived injustices. Complaisant media organisations such as the ABC, SBS and Fairfax almost swoon at the latest revelation of Australia’s failure to address Aboriginal disadvantage, yet fail to ever identify any law or impediment that stops any Aboriginal person becoming a scientist, doctor, engineer, or academic—or indeed come up with any reason why an Aboriginal cannot reach the highest position in the land—if they want to work towards such goals. In reckoning the numbers of the Commonwealth, or of a State or other part of the Commonwealth, aboriginal natives shall notbe counted. The 1967 referendum was also about permitting the Commonwealth to make laws for Aboriginal people. The states previously had this power which was denied the Commonwealth in the original version of the Constitution in 1901. It was a Commonwealth power that Aboriginal activists at the time wanted. Much has happened since 1967. Does the goodwill that saw a 90% support for the 1967 Aboriginal referendum proposals, still exist? Forty-five years on, has sympathy for Aboriginal demands increased or shrunk? Indeed, have a vast majority of Australians simply ceased to listen to Aboriginal laments? The proposals by the Prime Minister’s “Expert Committee” for a referendum to changes to Australia’s Constitution should be viewed with both caution and alarm. The idea that a separate group of Australians should be viewed as an aristocracy (inherited privileges by race or bloodline) can only be defined as racist or racialism in its purest form. The one absolute that Australia did not import from Great Britain was the notion of “privilege” by way of birth-right. Here it is important to look at the progress of the Aboriginal moan-industry (not that of what Bess Price calls the “bush blacks”), but the academics, urban Aboriginal activists and those who feed off imagined constitutional injustice, and devour vast amounts of the nation’s treasure in the process. With the proposed constitutional changes it is also important to examine the issues surrounding the Andrew Bolt trial which question exactly who is an Aboriginal and how their aboriginality is defined. If Australians are being asked to establish a class of elite people based upon race, then this topic must be addressed openly, without fear of court interference. Possibly the most alarming items the “expert” committee proposed was the inclusion in the Australian Constitution of recognition of Aboriginal culture and language. You only have to take the tokenistic “Welcome to Country” nonsense undertaken by Labor politicians at the start of public events to see where constitutional promotion of Aboriginal culture is heading. Another indigenous notion, coming out of Canada is the idea of indigenous people being “Citizens Plus” – a sort of gold-card citizenship. As for the recognition of Aboriginal languages, a quick look at the constitutions of Finland and Sweden reveals the right of their indigenous people (the Sami and other groups) to have proceedings before courts of law and other authorities conducted in their own languages. With about 150 Aboriginal languages (with 27 language families) you can just imagine the chaos if adventurous lawyers and judges got hold of this issue. The interesting thing about the 1967 constitutional amendments was that all mention of indigenous Australians was removed from our constitution. Now Aboriginal activists want that reversed with the re-introduction of concepts of race, special rights and inherited privilege. After the Lobby restaurant riot one Aboriginal protester said all non-Aboriginal Australians were “boat-people” and should pack up and go back to where they came from. Strangely not one Aboriginal person of note has challenged that view. 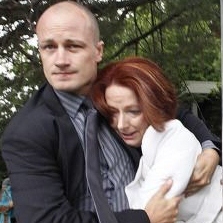 So it will be a brave Julia Gillard, or who ever is leading the government next year, proceeding to tinker with the Australian Constitution.